GopherCentral Library: Phunny Pictures - Just bear with me one more moment! 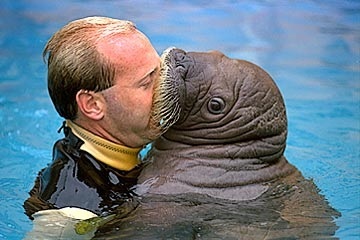 Phunny Pictures - Just bear with me one more moment! My sister-in-law just bought a new truck. It's a lot bigger than he old truck. Well, I went for a ride in it and it's nice. I asked her why she needed such a big truck. She said, "It holds more clothes." "More clothes, to take to the laundromat?" I asked. She answered back, "No, you dope. For the car wash!" That's what I married into. Lucky me. Sure, I can describe the heffalump that stole my hunny! Excuse me officer, do I smell pork in this vicinity? ...defecating in the woods...and no valid fishing license. Have you seen a little blond girl, about this tall? Hey officer, somebody stole my pic-a-nic basket! Walk? I'm bear-ly able to stand! Just bear with me one more moment! 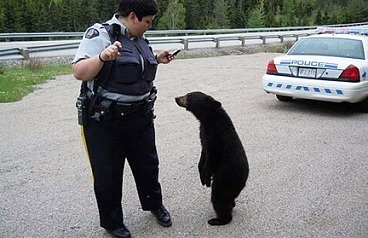 I can't bear to be in trouble with the police.